There are so many Web sites on candle making that it can be difficult to know where to start. If you spend some time with a few good sites, however, you'll find that most all the information you could want to know about candle making is out there for the taking. If you're new to candle making, you'll likely be looking for sites on basic techniques, safety instructions and the like. After checking out all we have to offer here at LovetoKnow Candles, check out the following sites. Peak Candle Supplies offers several candle making tutorials that will help you get started. The site includes basics like how to make votives, pillars and container candles. The techniques page includes fun projects such as chunk candles, marbled candles, candles with faded edges and candles with photos embedded in the sides. A great compendium of things homemade, Pioneer Thinking also has a good section on candles, including information on things such as making beeswax candles, the history of candle making and how to make money selling candles. You'll learn fun facts about candles, easy ways to personalize candles you're planning to give as gifts, and all the basics you need to make many different kinds of candles. My Craft Book is another great source for basic craft projects. Its section on candles includes some projects you won't find on other sites, such as one involving using a milk carton as a candle mold and another on tealight candles. You'll also discover how to twist candles, make sand candles, and even make candles that look like food. There's a good discussion of candle making safety here as well. The Web sites listed above have many projects for crafters to choose from, but there are a couple of other sites worth mentioning if you're looking for candle making projects. Craft Bits has more than 50 candle projects, including basic instructions for making wax candles and gel candles. Some of these projects are for candle holders, but all will expand your candle crafting prowess. 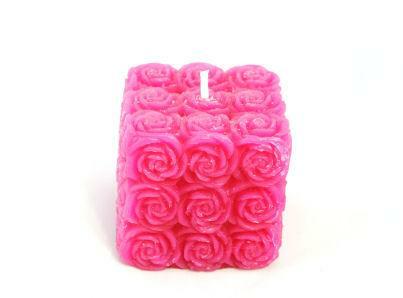 Once you've browsed some Web sites on candle making, you are sure to find some projects you want to try. If you aren't going to get to a project right away, it's a good idea to print out a copy of any project you want to try when you first come across it. Web sites shut down, move, or remove links all the time. Even if you've bookmarked a project, you might not be able to find it again. Start a file folder or three-ring binder full of recipes and projects, and you'll always have the projects you want to try close at hand. Best yet, you can use the printouts to take notes on anything you did differently when you made the candle, how much wax colorant and fragrance oil you used and any other details you might need if you really like the way the candle turns out and want to re-create it. This way your collection of projects becomes a project journal and makes it easy for you to remember which projects you liked and which ones didn't turn out as well as you'd hoped. Just because a project is published online does not mean it will turn out as well for you as it did for the original maker, so have fun exploring new sources for candle creations!